Our Men's Lifeguard Pro Short has traditional lifeguard styling with a retro 5.5 inch inseam allowing for maximum mobility and comfort. 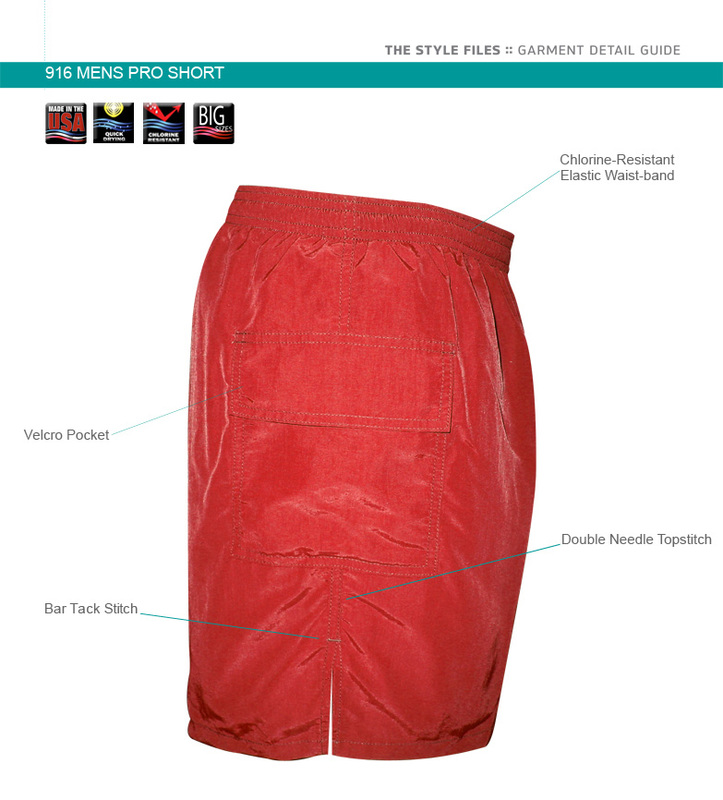 Like all our lifeguard swim shorts, the 916 Lifeguard Pro Short is made in the USA by Water Safety Products Inc. These shorts are made to last, constructed of durable 4-oz. 3-ply breathable nylon with Teflon® finish for quick drying and oil/chemical repellency. This swimsuit also features a super soft polyester micro-mesh liner for long-lasting support. The mock fly front and elastic waistband allow for easy waistline adjustments. The 916 also has a cargo pocket on the right leg.